If there’s a nagging conviction behind Stay Positive, it’s a constant refusal to be pinned down on E Street, revealing a toxic indulgence to revel in the spit and swagger of the punk side of town. And you thought the Hold Steady were just living on E Street? Littered with early Springsteen analogies ever since they broke through with the bar room tales of Boys and Girls in America, Craig Finn has constantly referred to the debt his band owes to the likes of the Ramones, Hüsker Dü and the Replacements, only for critics to remain defiant of their origins in favour of references to the New Jersey Godfather. If there’s a nagging conviction behind Stay Positive, the Hold Steady’s fourth album, it’s a constant refusal to be pinned down on E Street, revealing a toxic indulgence to revel in the spit and swagger of the punk side of town. Mysteryland feels like a peacock on ecstasy chasing you down the rabbit hole. The Glastonbury of European dance festivals, this bold, colourful and gigantic event packs more into one electrifying day than other, lesser dance events would dare explore in their lifetime. Imagine if Lewis Carroll and Terry Gilliam took Bestival, planted it amongst the waterways of Holland, wrapped it in glorious technicolour and fondled the dream with pinches of multiple dance genres. Imagine the fairytale spawn of Paul Oakenfold and Patrick Wolf at the Mad Hatter’s Tea Party, quivering to rabid techno. Imagine thousands of Cheshire Cats, sky-high on trance, dubstep, gabba and filthy electro, dancing in fields with themes of Mad Max and fairytales. It’s hard not to speak of Mysteryland (still virtually unknown in the UK) without dealing in such superlatives. This is a 60,000 capacity, 20 stage sacrifice to the God of dance after all. An über-fest of gigantic proportion with so much joy and energy, so much organisation and conviction, that it makes most UK dance festivals look like a few stalls on the village green. In fact, it’s so big, so colourful and so damn fun that it eventually becomes a strain on not just the eyes and legs but your mind as well, as you marvel at how so much has been squeezed into the tiny space of just 12 hours. Indietracks feels like Isambard Kingdom Brunel putting on All Tomorrow’s Parties, where the only downside is choosing between the gorgeous music and the unlimited steam train rides. Now in its third year, Indietracks has sprung up from very modest beginnings to be one of the UK’s most endearing and eccentric festivals. Taking place at Midland Valley Railway Centre in Riply, Derbyshire, the event is a labour of love for founder Stuart Mackay, who combined two of his passions: restoring steam trains and indie pop, to create one wholly unique event. Indietracks isn’t just a great excuse to discover some great new music, it’s an opportunity to support the earnest restoration of our heritage: the festival acts as a money raiser for the museum, with everyone involved in the weekend volunteering their time for free. The line-up represents the very best of the indiepop underground, many of whom would be lucky to even to grace the smallest of stages at ATP. Bands come from as far afield as Japan, Italy, Sweden, USA and Argentina; DJs from Berlin, Barcelona and Hong Kong. With Spain’s seminal indiepop label Elefant curating the main stage, there’s also a great selection of Spanish acts including Cola Jet Set, La Casa Azul and Cooper. For a festival that could fit comfortably inside Glastonbury’s Shangri La field, it certainly knows how to punch above its weight. 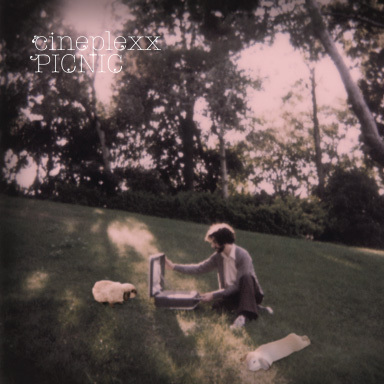 That Argentinean born and current Barcelona resident Sebastian Litmanovich is joined on Picnic by Norman Blake of Teenage Fanclub, Jad Fair of Half Japanese and Duglas Stewart of BMX Bandits, is really all you need to know about Cineplexx. But if you’re still inquisitive, Picnic sees Litmanovich guiding the C86-inspired lo-fi through rippling landscapes that take in the Vaselines, Magnetic Fields, Gruf Rhys and Camera Obscura along the way.